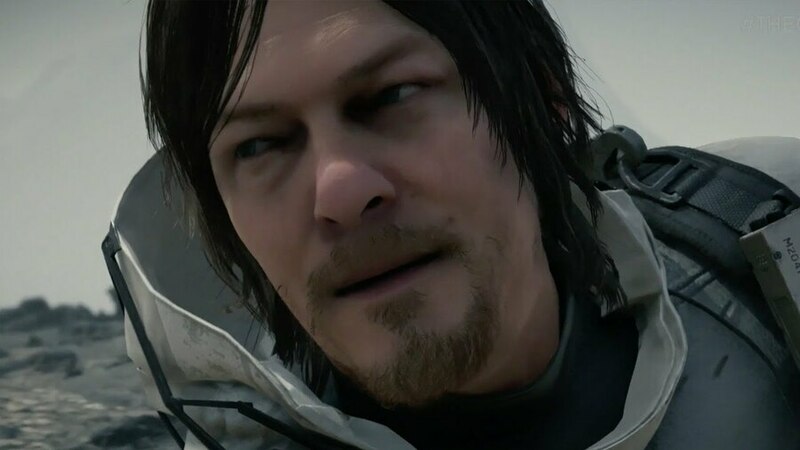 Hideo Kojima has provided an impromptu update on Death Stranding’s progress, suggesting potentially we may see more of the PlayStation 4 exclusive during Sony’s State of Play livestream tomorrow. As part of a random social media post, the auteur said that the title had entered a “critical phase” of development, and he added that he plays the exclusive every day. Effectively, the Metal Gear man said while the title hasn’t reached testing yet, he’s piecing together all of the systems and mechanics into one game. He explained: “It's a process to connect the parts.” Earlier this month, it was revealed that the title is “slightly behind schedule”, but it’s reassuring to know that there’s more to Kojima’s day than posting pretty photos of ramen on Instagram. Should the title make an appearance, you can find out what time Sony's State of Play livestream is scheduled to start through the link. Plot twist: He's making the game in Dreams and the reason he's behind schedule is because he didn't make it into the beta. Yeah, but, what do you do in it? Could a 2019 release date still be possible? meh, I already have the platinum. STILL don’t even know the genre of game or anything about gameplay. So over that. Plays every day, still doesnt know what the game is about. Playing video games all day at work, how do these people get away with it? Sack him. @Mega-Gazz Just as well the game isn't out yet then isn't it? @Sauce01 Very unlikely, if it isn't in the testing phase yet. I think 2020 is looking very much on target though now. Pressing a button to play a cutscene isn’t really what I’d consider gameplay, but I’m still interested in this project. ..... well except No Man’s Sky I guess. tbh i'm also rather done with the secrecy of this game. i mean most people get annoyed when a long period of time passes without info about a game but because this is done by kojima everyone is ok with it. an anoying double standard tbh,because altough the guy has a great track record,is it too much to atleast show us how it plays? i mean from what i have seen so far in that e3 gameplay i would think it is a walking simulator. which could be true or it could be something very different! hard to stay exited tbh. atleast with ghosts despite having little info we know how it plays. and before angry comments are getting aimed at me,no i'm not doubting this game or kojima at all,i'm just over this whole JJ abrams level of "mystery" when it comes to this game. it can only be exiting for so long before i just NEED to know something concrete after 2/3 years with almost nothing but cryptic trailers and endless theories. @Mega-Gazz Kojima already said it would be open world, and the gameplay does hint at been an exploration game with passive combat elements. And No Mans Sky was alway a space exploration game with survival gameplay. People just let their imagination run away with them. @jdv95 The thing is fans of Kojima's games love the sense of mystery surrounding his games and he play up to that. It's not for everyone but it works for them. Personally I think it's refreshing that a game's details are kept under lock and key at a time where companies reveal way too much these days. I'm even content if the game just stealthed released tomorrow cos it'll be nice to play a game without a ridiculous amount of blanket coverage. @AdamNovice open world is nigh meaningless - bloodborne is open world, so is AC, so is GTA. “Exploration with passive combat elements” sound a lot like a walking simulator... or something else? Buyer beware is all I’m saying. I don't blame him, I'd be tempted to play it every day as well if I had it right now. @Mega-Gazz Fair enough but considering the people involved with it I think people are justified in having blind faith in the game. @AdamNovice I disagree. He’s a Diva that Konami couldn’t work with or get to come in line, and no matter how badly they handled that situation, they didn’t get fed up with him for no reason. On the other hand, he’s the guy who thought “she breathes through her skin” was a totally legit explanation for having a mostly naked female sniper. He certainly delivered something special with the first MGS, but since then I’m not convinced he’s magic. @Mega-Gazz I often agree with you Gaz but I strongly disagree with your comment above. Konami are a shadow of the company made famous for Contra, Castlevania and Gradius. They had a man who pretty much single handedly made the stealth genre and worked him to death, sticking him in a room on his own like a naughty school boy. He's a superstar in the industry and a genius. Of course he left. Every MGS game has left an impression on me. There's multiple games over the years I have played through and can't remember a single thing, mention any MGS game and I have loads of stored memories. The often maligned MGS 5 was clearly unfinished (because Kojima was more or less forced out) but some of the ideas both within the gameplay (Fulton / cigar / enemies adapting to your play style) to the story (vocal chord Parasites / child soldiers / the twist at the end) blew my mind. Death Stranding will be awesome, have faith. @themcnoisy off topic, but a question i have after your comment, i have loved all the MGS games, but when i played after the beginning i just cant get into it. Does it get better? @ellsworth004 In my opinion, yes. It's been a long time, but I think I found the start to be bit overwhelming, with all the menus and controls (even after playing Ground Zeros the year before). But after a couple of missions it grabbed me and I was loving it. For me, it's right up there with the best gameplay of this generation. It took me a while to get the platinum but it was worth it. @SoulChimera thanks for the reply, ive have to give it another try. It's always debatable of course but considering he had to show something very early, (proving he's back , the build up from the trailers was well done. Considering DS is a new IP, they made the setting and story, characters look very intriguing and interesting with theses trailers. Now the gameplay mechanics are to be completely introduced when the game is about finished. Not point showing some gameplay that can be very different when the game is finished. @Mega-Gazz Some negative comments here about Kojima. I don't like him that much, but the guy is a genius, no one can dispute that. To what @themcnoisy said I can only add that this will be his first game after Kojima spread his wings and got away from the boys in suits at Konami. He is not going to just go out and produce bullsh**. All in all, although I am not a huge Kojima fan (I do play Kojima games), I have tremendous respect for his influence on this industry and when Death Stranding hits PSN, it's going to be a blind pre-order for me. I actually prefer not knowing anything else about this game before playing it. It may end up being more of an experience than a game and that will be totally fine with me. @ellsworth004 The controls can be cumbersome and due to the multitude of things you can enact you have to learn them. Which takes time. That said the payoff is usually well worth it. @Mega-Gazz Amazing- everything you just said is wrong. @AdamNovice I see why his fans like it tbh. But it's just not my thing. But than again maybe the game will indeed surprise me in a very good way. We will see. @Aaron101 waiting doesn’t offend me, the cult of Kojima does. @themcnoisy as you point out he was forced out. And as you point out he was isolated before that. Let’s assume Konami aren’t sadistic and self-destructive for a second - they were driven to the point of isolating him from the development team for a reason, and that reason isn’t that he took direction well or was a team player. The coverage was one-sided but there is obviously more than one side to the story. @DreamerAbe86 Star Wars quote noted. @Mega-Gazz This is why you fail. As for me, I can't get enough pictures of ramen. Damn, now I'm hungry! While being a huge mgs fan since the ps1, in hindsight the scripts have been very heavy handed. Peace walker and mgsv had the gameplay perfected though. @Mega-Gazz Konami cancelled Silent Hills, they ruined my favourite horror game franchise ever and Kojima was about to resurrect it. That's all I need to know. Let's face it, it wouldn't be the first time Kojima has disappointed. I still remember the reactions when we were lured in by the E3 trailer for MGS2, only to be left playing as Raiden for 99% of the game.